Fashion Girls & Pups was a line of licensing pieces for Oliver K. Monkey. 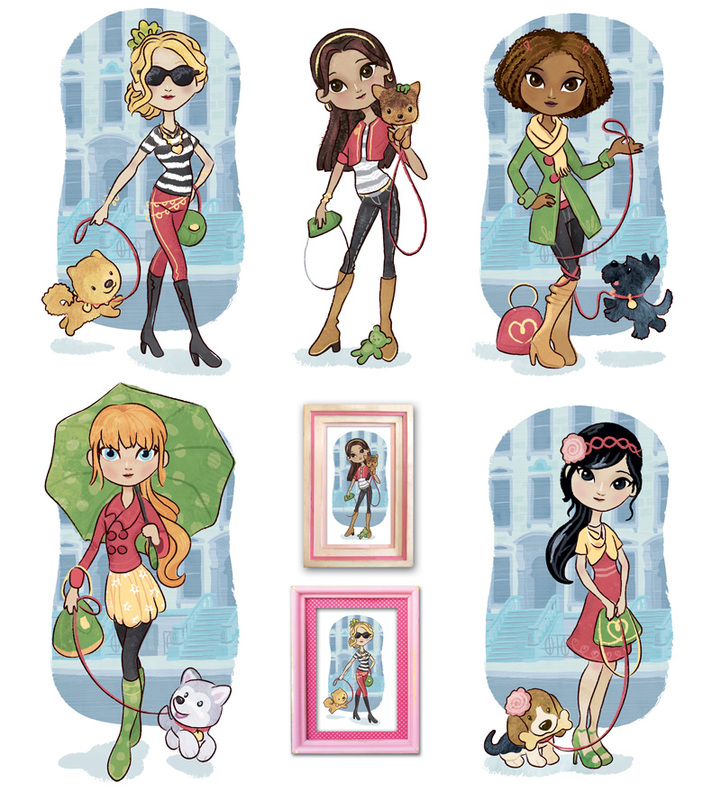 It focuses on fun fashion oriented girls along with their own little fashion puppy. It is available for use in all kinds of final products from print and apparel to paper products and whatever other application.